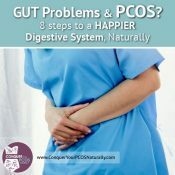 Did you know many women with PCOS struggle with digestive problems? Cramping, pain, constipation, diarrhea, poor digestion and poor nutrient uptake, bloatedness, and windiness. Sound familiar? 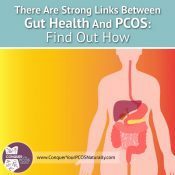 PCOS gut issues are common! Here’s a checklist of potent strategies. 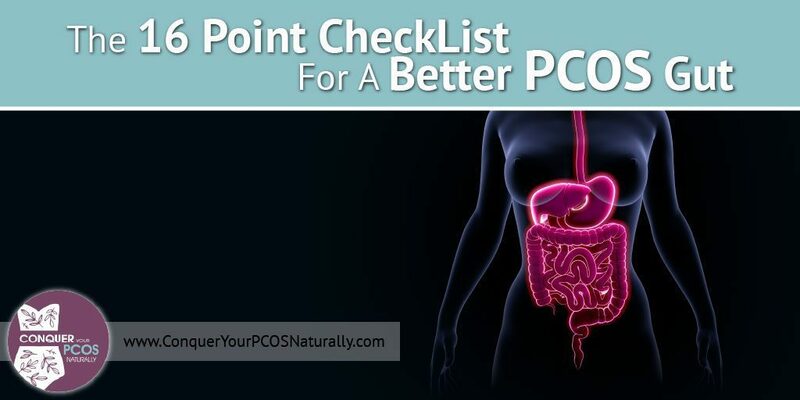 I have been blessed to witness the strategies on this list not only help PCOS gut problems but also massively help other PCOS signs and symptoms! 1) Take your time while eating. 2) Focus on what you are eating. 3) Eat where you can relax (not at your desk, on the run etc. This takes your focus away from digestion). 4) Do not eat in front of the TV (watching negative images such as the news may stress your body, and stress and digestion are not optimally compatible). 5) Chew thoroughly? This begins mechanically breaking down your food and begins digestion. 6) Eat foods congruent to health promotion; i.e. organic vegetables, organic meats, and fish. 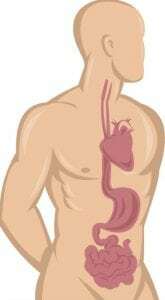 7) Consume foods high in the nutrients beneficial to optimal gut health; i.e. Zinc, Glutamine. 8) Avoid processed, unnatural foods. If your great-grandparents wouldn’t recognise it as food, chances are your body can’t either. 9) There are modern day ‘foods’ that not only provide no nutrition but also take nutrients from your body to break them down. These include ‘foods’ from well-known fast food establishments, foods with artificial flavours, preservatives, and other additives, and foods high in sugar. 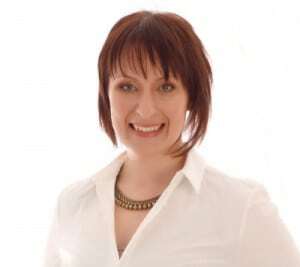 For more information, see Chapter 4 ‘Deficiencies in your food plan and lifestyle – What you are missing out on is causing you harm’ (of my bestselling book ‘Conquer Your PCOS Naturally‘) and specifically the information on anti-nutrients. Better these are not part of your food plan. 10) Avoid foods that you are intolerant to, the most common being gluten and dairy. 11) Regularly take a high-quality pre and probiotic. 12) Drink enough pure water. 13) Better manage your stress. 15) Get enough magnesium-rich foods. 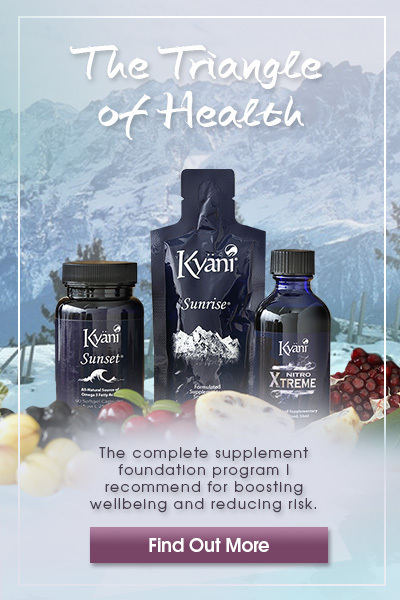 Supplement if you need. 16) Eat foods rich in good fats; i.e. fish, avocado, nuts, and eggs. 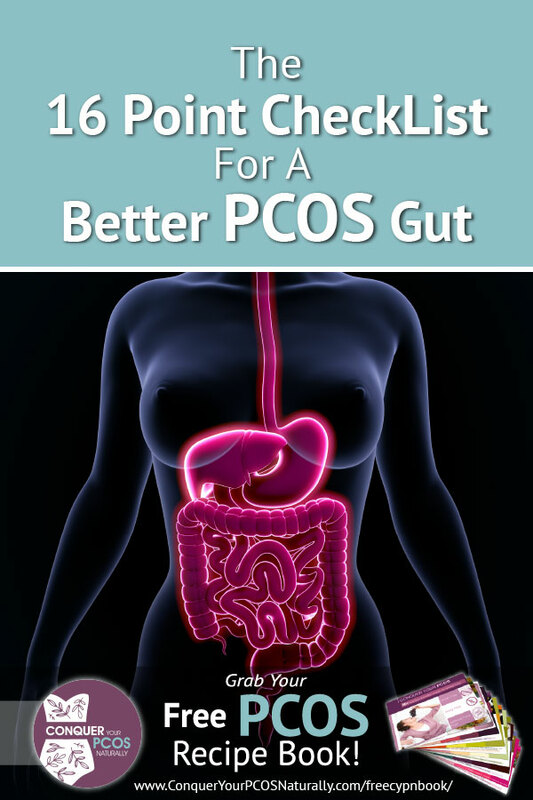 I will talk more about what causes PCOS gut problems in a future post, so subscribe to our RSS feed to make sure you don’t miss out on future posts. P.S. If you feel you have trouble digesting your food; if it sits in your tummy for longer than it should and if you experience heartburn, you may need some help with digestive enzymes. 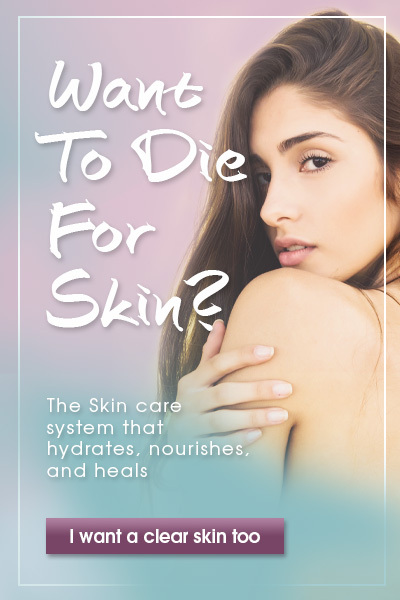 Apple Cider Vinegar works well for this, as does a supplement that contains enzymes to break down all the macronutrients – fat, carbohydrate and protein. Previous: Women with PCOS Stand Up, We Can Change The World! 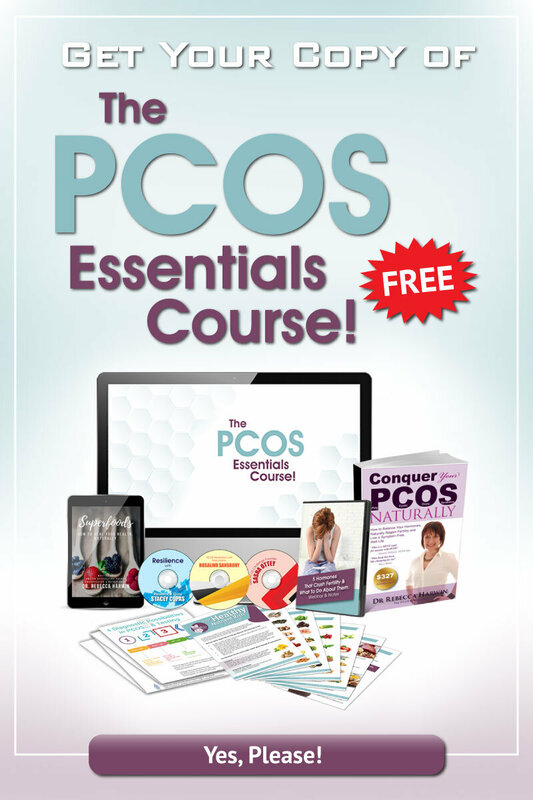 I am signing up so I can receive more info on PCOS and digestion. It’s lovely to meet you and thanks for joining our community. Yes, digestion is a big deal in PCOS so you are not alone. It’s the one underlying thing that almost all women with PCOS seem to have in common. With the impact of the digestive system on insulin sensitivity, inflammation, and nutrient uptake, it’s not surprising and very frustrating. 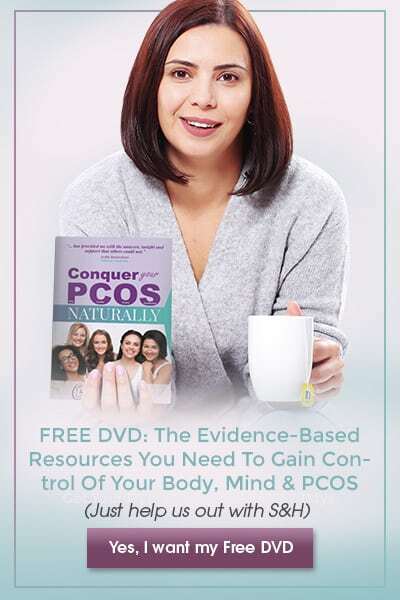 I’m about to release a PCOS essentials course with a copy of my book Conquer Your PCOS Naturally for free so connect with us on http://www.facebook.com/conqueryourpcos and I’ll share the details here. Is there anything, in particular, you’d love to know more about? Thank you, I will be sure to connect on facebook.